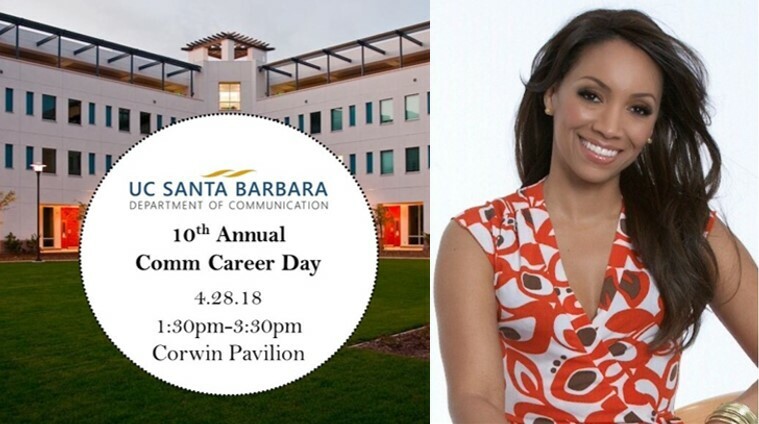 Emmy-nominated and Nationally-Syndicated TV Host, Producer, and Voiceover Artist Audra Lowe will be the keynote speaker at the 2018 Career Day (April 28th, 2018, 1:30-3:00 PM)! Audra is current Correspondent for “Celebrity Page TV” (formerly OK!TV) and recent Host of The Broadway Channel. Audra is also an accomplished voiceover artist for TV shows and radio spots. Audra previously hosted Fox Sports’ “FoxWire,” in Los Angeles and the entertainment show, “FoxNOW,” becoming the first to nab backstage interviews with American Idol finalists. Audra holds two B.A.’s from UC Santa Barbara and an M.A. from UCLA. Please e-mail Alumni Council event chair Mike Scalise at mscalise12@ucsbalum.com for more info or to RSVP!